Samsung may be best known for their award-winning smartphones and tablets, but the company has a long history of producing home video equipment and is one of the most trusted names in televisions and monitors today. Samsung PC monitors are known for their sharp, clear images, high resolution screens and dazzling colours. Whether you have a simple business system or a high-end gaming PC, a Samsung monitor will help you get the best graphics performance, reduce eye strain and give you a better user experience. 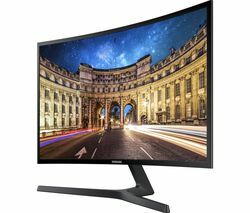 Samsung PC monitors have earned a reputation as some of the best made and highest performing monitors on the market today, and they work with any computer operating system. 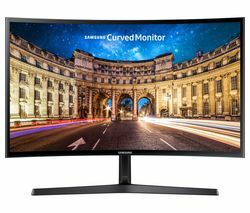 No matter what computer you use, there’s a Samsung PC monitor to suit. If you need a PC to go with your new Samsung monitor, our range of desktop PCs is an excellent place to start. We also have monitors by other top brands, including Acer, HP, AOC, Philips, and LG PC monitors.